The last few months have been all about change. After a long search, I found and started a new job. We sold the house that we lived in when my son was born back in Colorado. And next month, we’re leaving the apartment we landed in when we moved to Philadelphia. This is the apartment we lived in when my son’s seizures and side effects were at their worst. The couch by the front window is where we held him for hours during his mood and behavior. I would sit on this couch and stare out the window at the street as he spat, and hit, and screamed terrible things. I would watch the people walk by, normal families with normal lives doing normal things. I wondered if that would ever be us again. I felt like the world was watching us from the other side of that window, too. We were in full view of the passersby who could see how ill-equipped and unprepared we were for what was in front of us. They saw us sitting on the couch reacting out of fear and desperation. They saw every mistake my wife and I made dealing with our son and with each other. The way our apartment is laid out, the window by the couch is the only source of natural light. In an otherwise dark apartment during a very dark time, there was no other place to go. So we sat in view of the world outside so that we could see it and let in whatever light we could. We traded agony and exposure for light. But sitting on that couch and in that light also gave us hope. No matter how dark our apartment and our life got, we could see that there was more. As our son fought against us, we could close our eyes and feel the light on our face and hope. After a seemingly endless struggle, hope won out. Our son came back to us. He was weathered, as we all were, and different, and stunted in some ways, but he was our boy. Instead of holding my son on that couch to protect him, he would sit next to me reading or playing on his tablet. Instead of me staring at the people walking by with envy or feeling judged by them, I felt like we could join them. Eventually, we did join them. And now, we’re taking the next step in our journey. We’re not moving to a new place with a blank slate. Our son still has seizures. He still suffers from the side effects of his medicine and the damage that they and his seizures did. We’re bringing our scars with us. But we’re bringing his progress, too. We’re bringing the lessons we learned and the closeness we feel from having survived it. 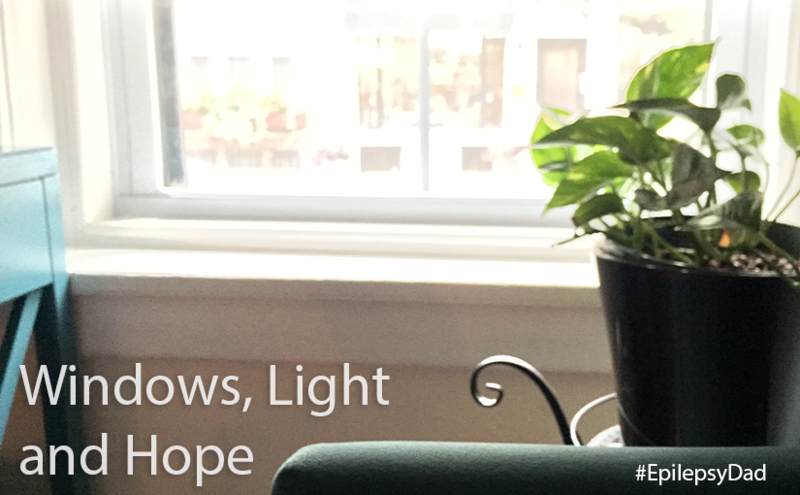 And we’re moving into a place that is full of windows, and light, and hope. If you believed the headlines, you might have thought that CBD was a miracle cure for epilepsy. After so many drugs failed to control my son’s seizures or burdened him with terrible side effects, I felt like we needed that miracle. But, in the end, CBD, like many other medicines, did not help to control his seizures. This post isn’t about CBD. It isn’t about Keppra. It isn’t about dilantin, or topamax, or vimpat, or triliptol, or tegratol. It isn’t about any of them in particular but, in a way, it is about all of them. It’s about feeling like a door closes a bit more every time we stop another medication. 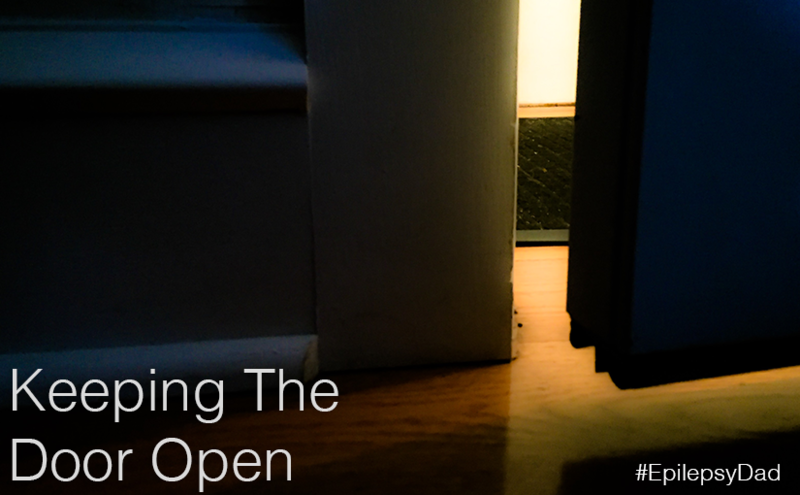 There is still light on the other side because I can see it splashing through the opening onto the floor. But the beam is getting narrower. And no matter how I angle my head, I can’t actually see the source of the light. I have to trust that it is there. I’m frustrated that another thing that has worked for others didn’t work for us. I hoped it would live up to the hype and that we would be one of the success stories. I want desperately for something to work for my son. As hopeful as I am that he will wake up one day seizure-free, I’m not greedy. I’d settle for a magic pill that would allow us to stop his other medication and free him from their side effects. A pill that would let him stop the ketogenic diet so that he could have a slice of pizza or a piece of candy. The side effects. The ataxia. The attention. The unbalance. The learning difficulties. The feeling of being different. The loss of control of his mind and body. The lack of freedom. An uncertain future. I want that magic pill to take away these things, too. But there is no magic pill. As every parent of a child with epilepsy knows, some things work for some people but not for others. We happen to be in the unlucky camp of people for whom most things don’t work at all. The door hasn’t closed, though. I won’t let it. I jammed my foot between the door and the frame so that it can’t close. I’ve got one hand gripped on to the handle and the other with a firm grasp on the door, and I’m pulling as hard as I can. I won’t let that door close. There is too much at stake. When there is light, there is hope, and there is so much to be hopeful for. If I have to, I’ll rip it right off its hinges. We’ve lived almost every day of the last two and half years with the sound of my son having a seizure. 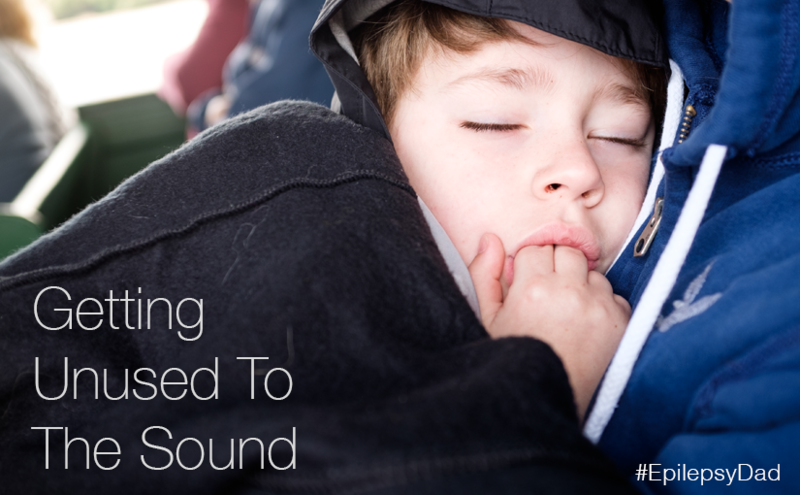 Usually, in the early morning, the distinctive sound my son creates as his body tenses and contorts echoes through the halls until it reaches my ears and stirs me from my sleep. For two and a half years I have been on guard, listening for that sound that served as an alarm calling in the dark. I’ve spent most nights periodically waking to watch and listen to the video monitor. This has been our routine. This has been our life. When his seizures started, I would rush to his room with every seizure and lay with him until he fell back to sleep. Sometimes I would catch another seizure when it started. It was somehow comforting being there with him when they happened, from beginning to end. To hold him, to rub his head, and to let him know that I was there and that it would be over soon and that he would be okay. As time went on, my son started putting himself back to sleep before I could reach him. I started watching the monitor as he came out of a seizure to see if he needed me. More and more, he would simply turn over, pull the blankets back up to cover his body and fall back to sleep. As much as I liked being there with him during a seizure, the new arrangement gave me a few extra minutes of sleep. In the last month, we’ve also been able to string together (we think) a few seizure-free days in a row. I say “we think” because some of his are so short that they are easy to miss, especially in the middle of the night. But on a few of those nights, he was with us and he did not seize. He even had his first seizure-free week since they began. I felt like we turned a corner. We made the most recent change to his medications a few weeks before those seizure-free days and I almost let myself believe we had solved the riddle. But then my son got sick and we were again visited by our most unwelcome guest. He rides such a fine line between seizing and not that even a common cold can undo a streak. Hearing seizures in the middle of the night had become such a part of our routine that, when they stopped, it was easy to fall into the trap of thinking that they were gone. I stopped thinking that a life without seizures was possible, but when we had a week without them, I was too quick to assume that they wouldn’t come back. I felt as if we had been lifted from this unforgiving place. When they did come back, I fell from such a great height that the impact nearly crushed my spirit. As grateful as I was for those days without seizures, they tugged at my desperation. They opened me up at my seams and stuffed me with false hope before closing me off. Now I’m pulling at the stitches trying to free myself from unrealistic expectations. The reality is that the sound of a seizure will be a part of our acoustic landscape as long as our son is living with us. Even if we see another stretch of seizure-free days, the threat of another will always be there. There is no escaping its reach, no getting unused to the sound. The only thing I can do is respond when the alarm sounds, which I will do whenever I am called.